Hello, my name is Clay Cook. I’r;m married with two young girls. My wife and I grew up and still live in Pell City, AL. We have been married for 18 wonderful years. To tell you a little bit about me, after graduating from Pell City High School I attended and graduated Herzing College with an Electrical Engineering degree. After a three-year apprenticeship in Helena, AL I went to work for AT&T in 1999. I held various jobs with AT&T from an Electrical tech up to a Tier-two support manager. Through the years I met some wonderful people and made some good friends but realized I had a talent for interacting with people. As it goes life happens and I parted ways with AT&T at the end of 2016 and since I was only 42 years old I began a journey to find another career. Beginning in 2017 my wife and I began this journey together with high hopes and dreams. We discussed all the things we could do for a quick fix but we locked into the idea of owning our own business which is something we both had a desire to do. Through some tireless searching we came across Garage Experts and were immediately impressed with the company, the products, and the people. I began to look hard at what made them the leading company in this field and quickly discovered why. They use patented products and offer lifetime guarantee, which no other company does, some of the best cabinet and storage solutions out there with hundreds of color and trim options available. 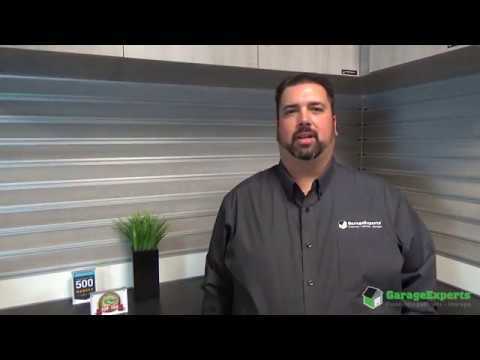 I was sold, so I called and spoke to several employees and started the steps to owning my own franchise and Garage Experts of Central Alabama was born. 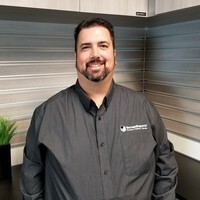 Now that you know my story I would love an opportunity to come sit down with you and hear your story and show you why Garage Experts is the Leading Lifetime Warranty, Cabinet, Flooring Coating and Organizational Company in America. Give us a call today! GarageExperts of Central Alabama is your local garage makeover expert. View some of our recent work.